By Dave Herrera | Aug. 17, 2016 | 11:35 a.m.
Update (5 p.m. 8/17/16): Justis Mustaine has issued a statement of his own regarding the situation, also via Facebook, which you can read below in its entirety. For contextual clarity, Havok's statement has been posted below in its entirety, as well. Havok just announced that is no longer going to be part of the lineup for the upcoming Megadeth tour featuring Amon Amarth, Suicidal Tendencies, and Metal Church. The Denver-based thrash metal band, which toured with Megadeth on its most recent tour, was slated to appear on the next tour, plans that have now fallen through. On the advice of its attorney, the band didn't go into great detail, but Sanchez did say that Havok was "offered an unacceptable management contract from Mustaine Management, which we declined." “It is with deep regret we are forced to inform fans of metal that we will not be on the upcoming Megadeth tour with Amon Amarth, Suicidal Tendencies, and Metal Church. We will also not be going to Mexico in August and early September as was planned. We were really looking forward to these shows, but unfortunately, Mr. Mustaine has chosen to remove us from the lineup. The reasons for our absence are directly related to a contract negotiation insisted upon by Mustaine Management - a negotiation that has gone awry. We are authorized to say that we were offered an unacceptable management contract from Mustaine Management, which we declined. While working with our lawyer to negotiate the terms of the contract, Mustaine Management threatened to kick us off of the Megadeth tour, Mustaine Management repeatedly failed to respond to phone calls and emails, and eventually told us (through their lawyer) that Mustaine Management is no longer working with Havok. We are only releasing this information to give fans an honest account of the reasons we are no longer on the tour. 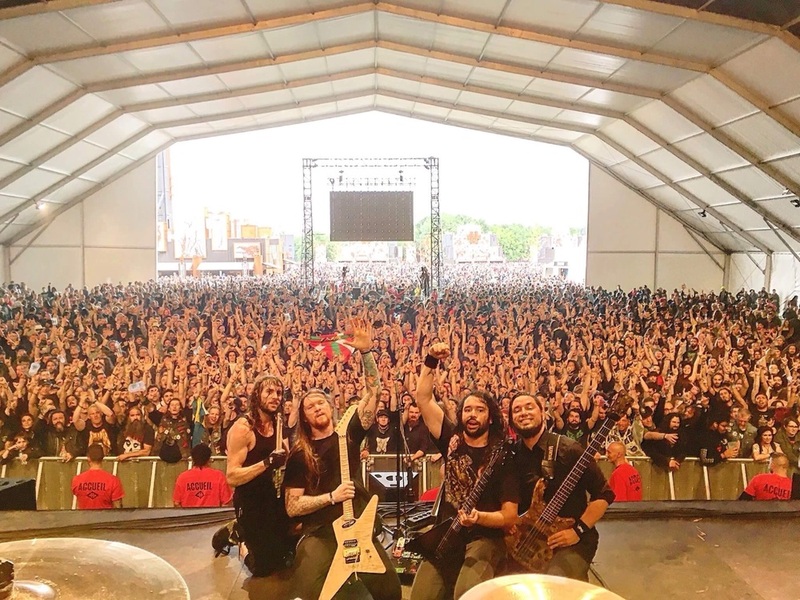 Havok has finished work on a new album, which is slated for release later this year on Century Media, and is planning to work on setting up new tour dates. I worked with Havok for one year. Despite getting Havok paid, marketed and exposed in that time- bringing them a new merch deal, booking agent, and overseeing what has clearly been their biggest year yet - I was compensated poorly for my work. I finally put a contract in front of them, which would secure me 15% of income (the industry standard). They refused to agree, so I dropped them. I wish Havok all the best in their efforts to be a professional band, but as evidenced by today’s gossip-mongering, they’ve still got a long way to go.